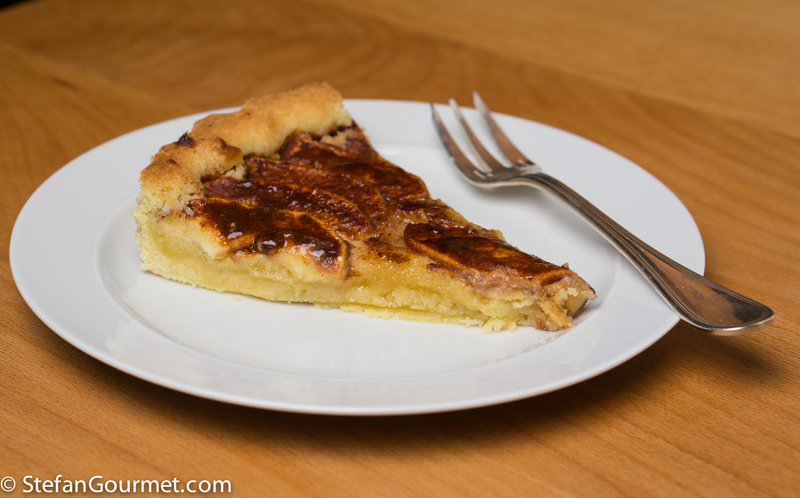 This French-style apple tart is special because of the almond paste filling. 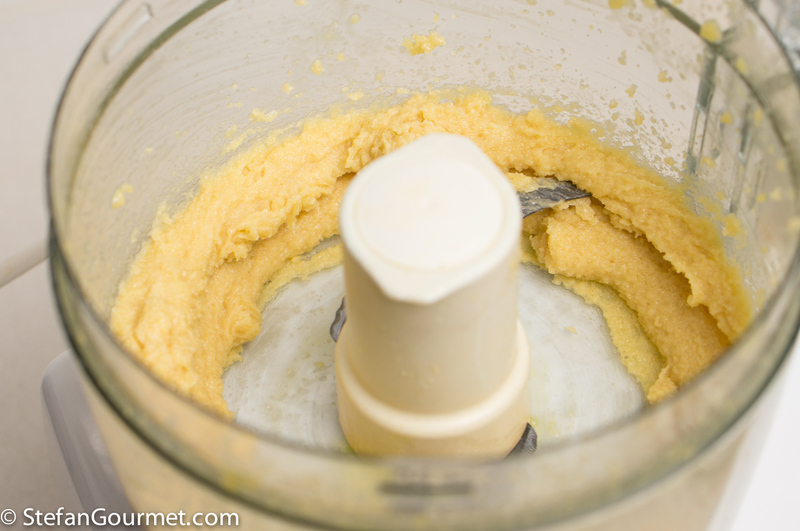 If almond paste is not available, you can substitute with ground almonds and sugar. 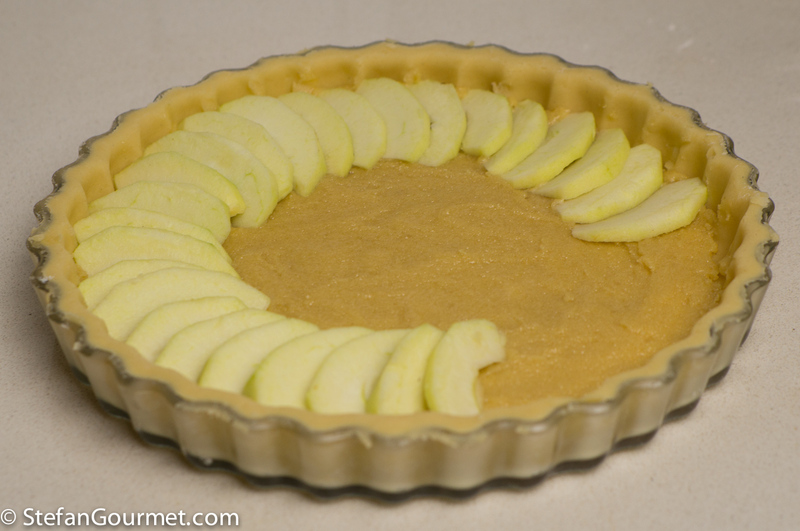 It is best to use tart apples for this tart, for a nice contrast with the almond paste. 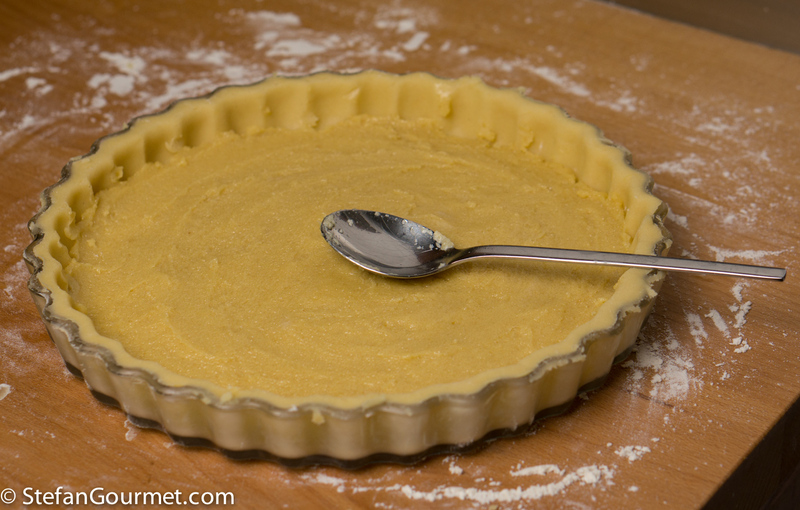 For most baking, it is better to use the oven with the fan off, as the fan will make your tart dry. 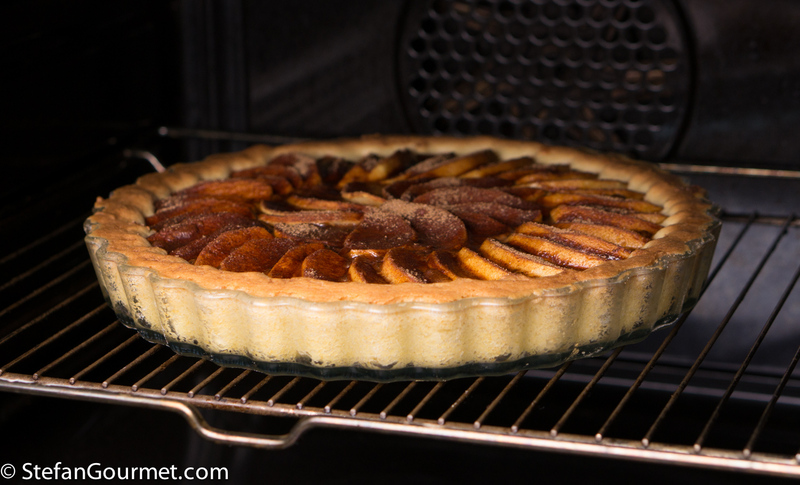 If your oven doesn’t allow you to switch off the fan, decrease the temperature from 200C/400F to 180C/350F. 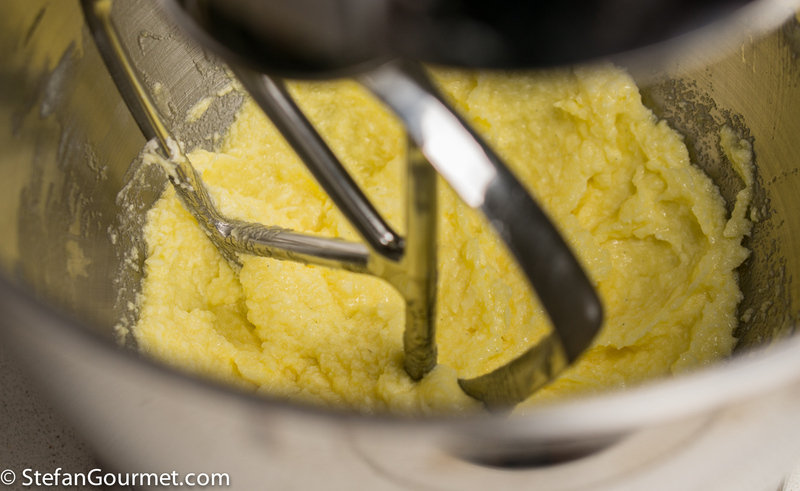 Combine 1 egg, 125 grams of butter, and 125 grams of sugar in the bowl of the mixer. 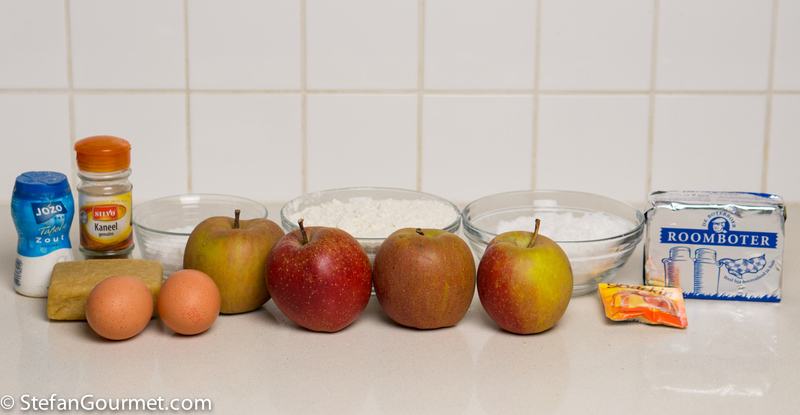 Mix at low speed until homogeneous. 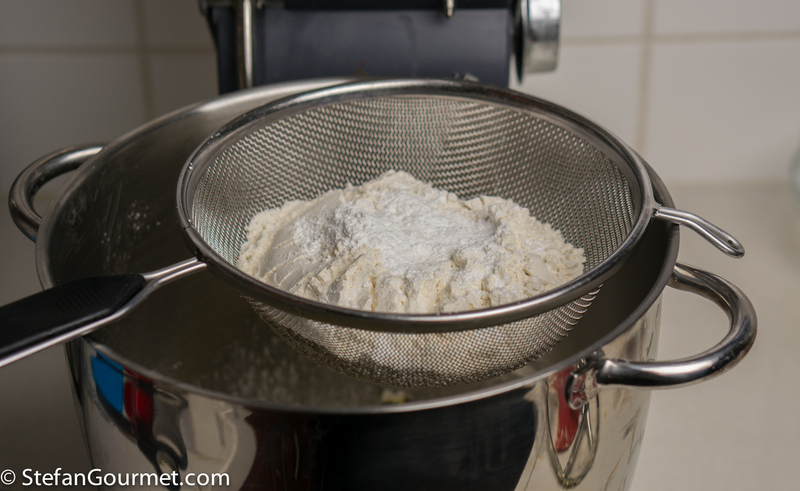 Add 250 grams of flour and 1 1/2 tsp baking powder, sifted. 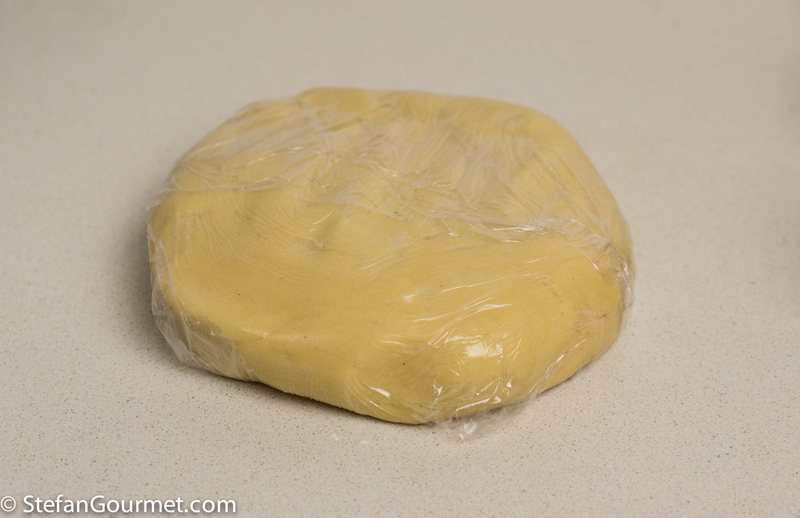 Gather the dough into a ball and wrap it in cling film. 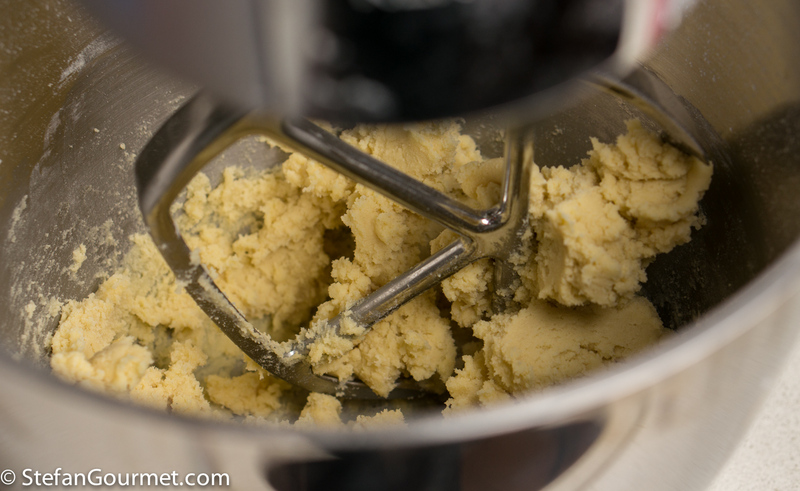 Refrigerate it for at least an hour to allow the gluten to relax (this makes it easier to roll out the dough). 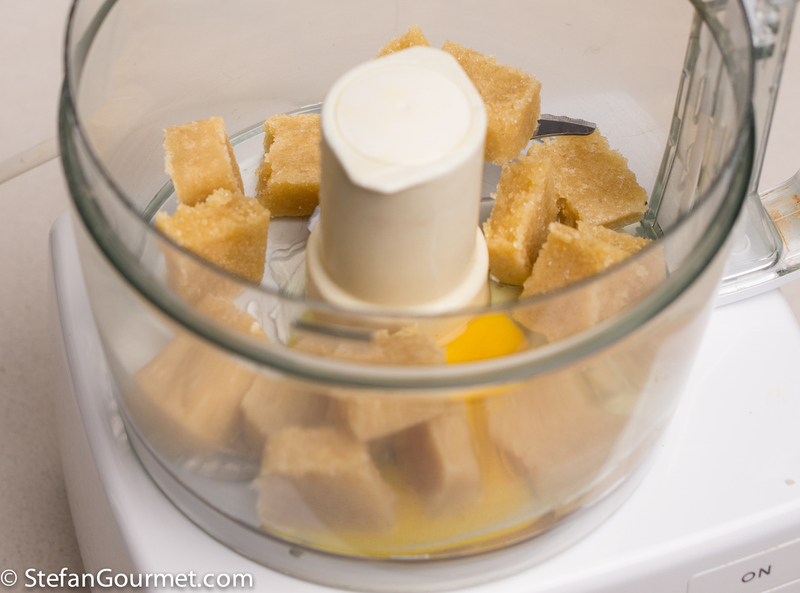 Combine 200 grams almond paste, broken into pieces, with an egg in a food processor. 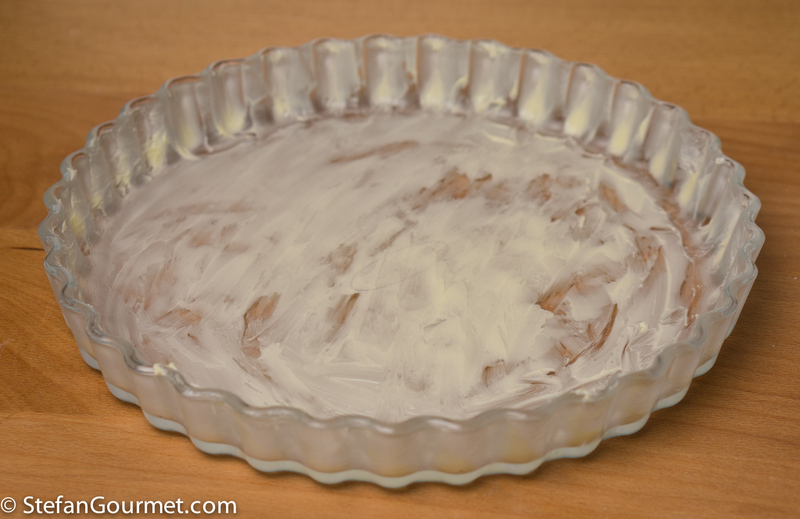 Butter a 27 cm (11″) tart dish. 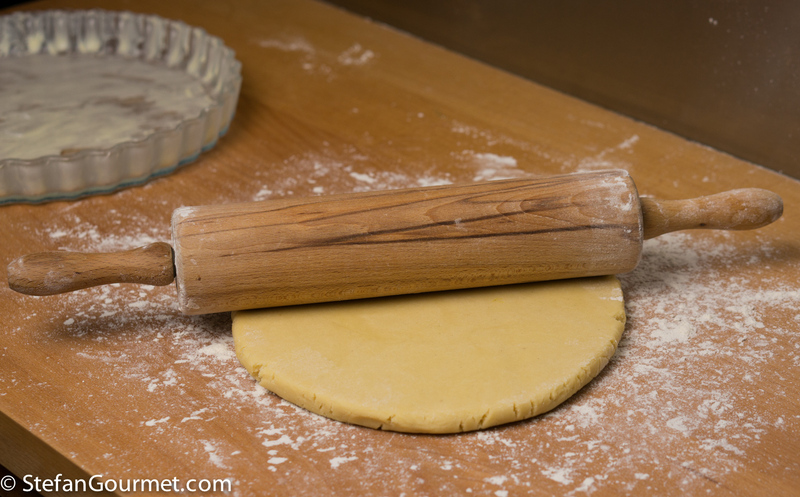 Take the dough out of the refrigerator and roll it out with a rolling pin on a floured work surface, preferably wooden. 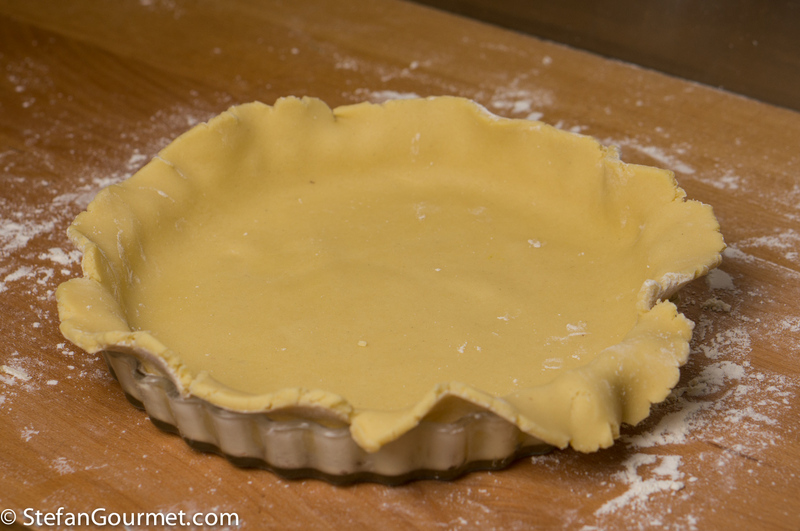 Roll it out to a circle that is large enough for the bottom and sides of the tart pan. 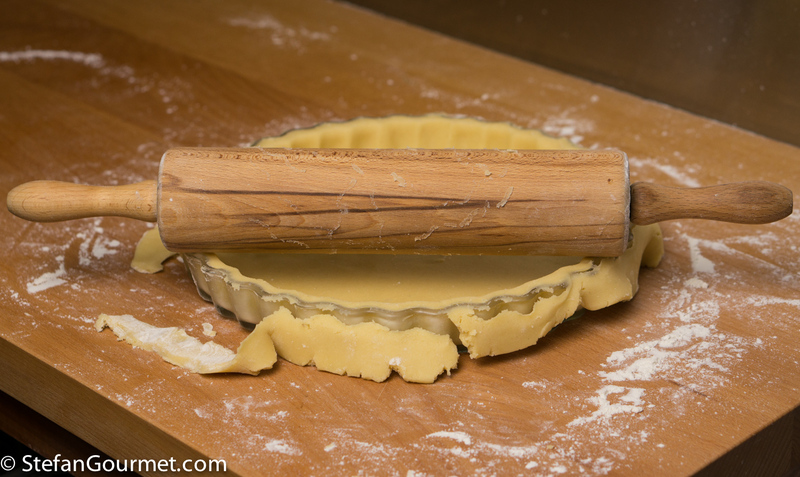 To get a circle, using the rolling pin in different directions (including diagonal). 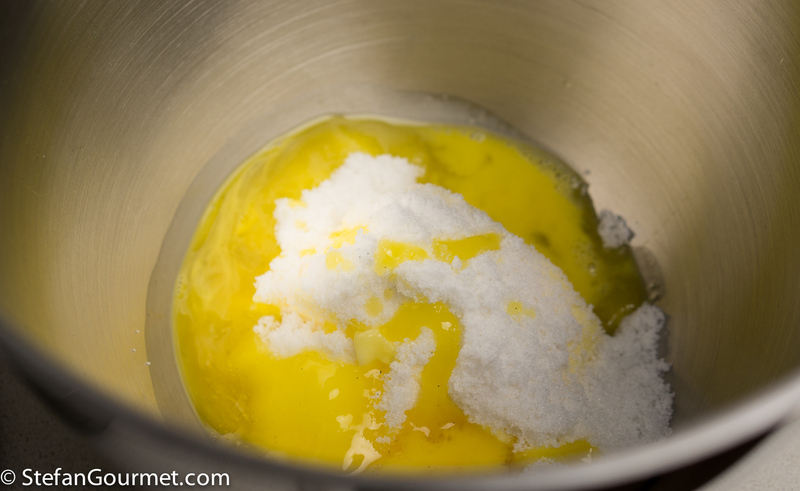 Carefully transfer the dough into the pan. 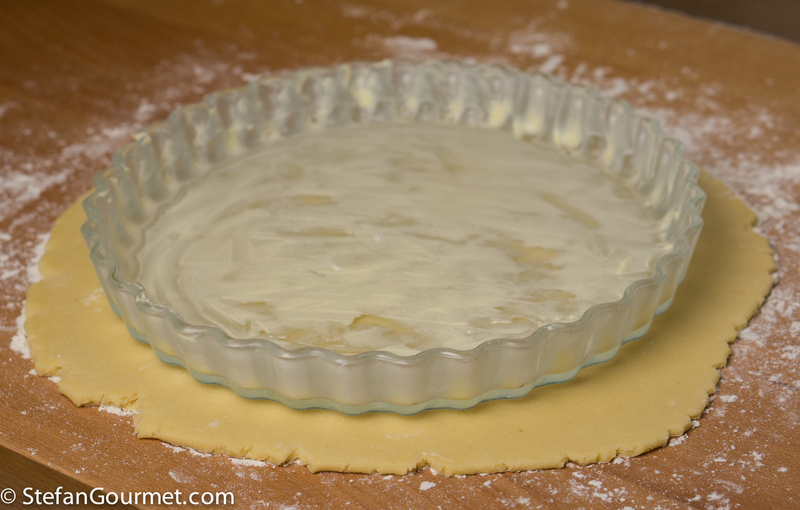 Use your fingers to nicely line the pan with the dough. 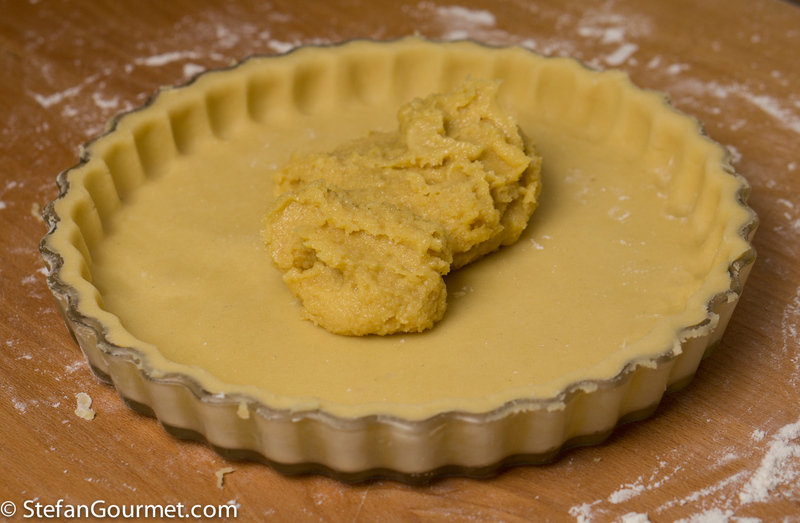 Remove any dough that sticks out with the assistance of the rolling pin. 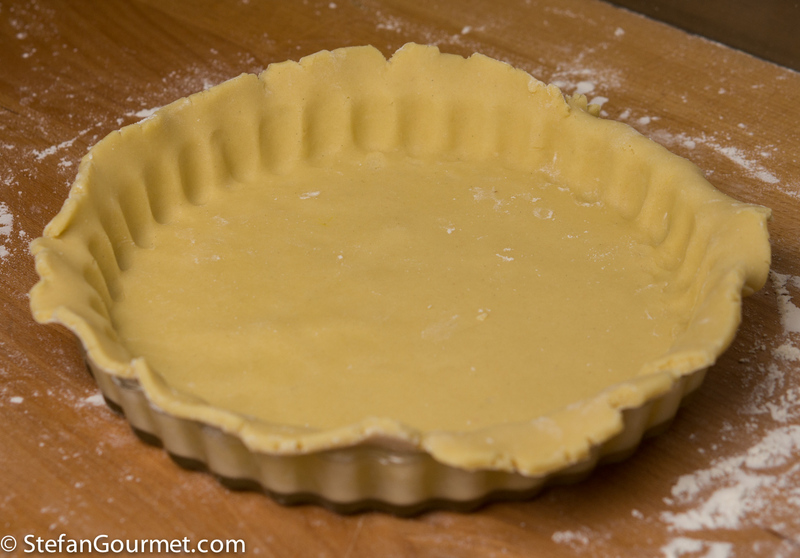 And voilà: a tart pan lined with dough. 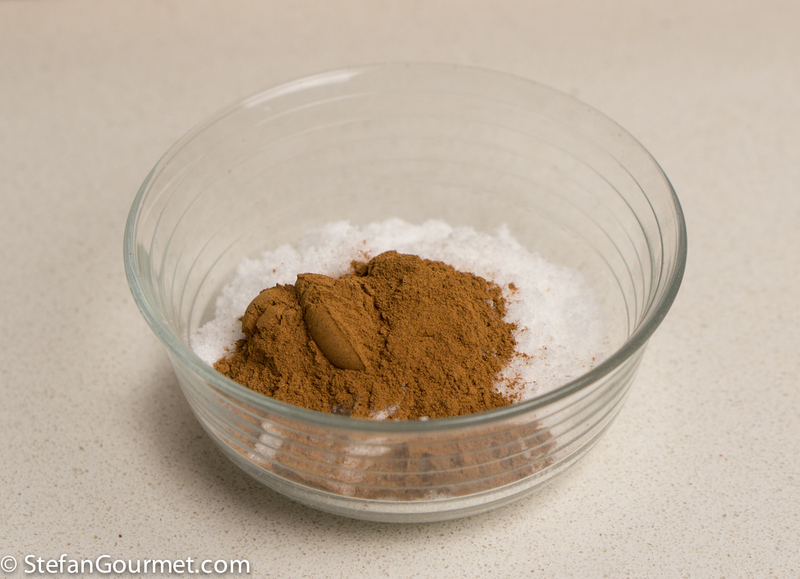 …and use the back of a wet spoon to flatten it (you will have to wet the spoon multiple times). Preheat the oven to 200C/400F (not fan forced). 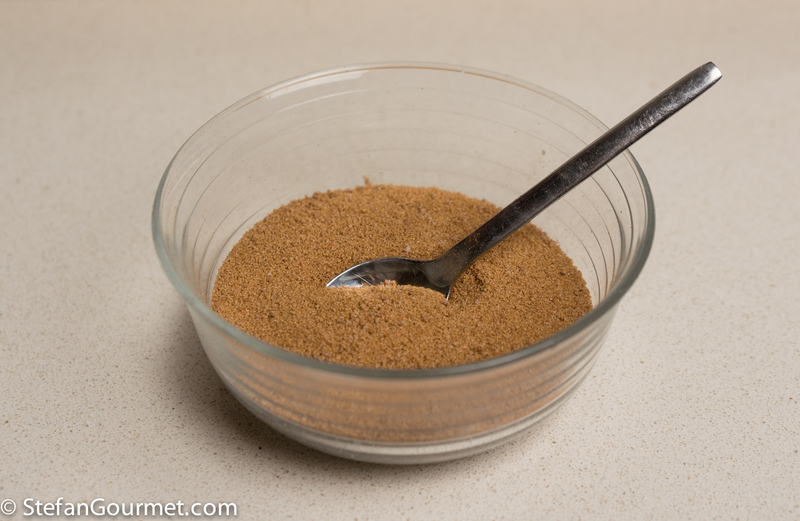 Combine 50 grams (1/4 cup) of sugar with 1 1/2 tsp of ground cinnamon in a small bowl. 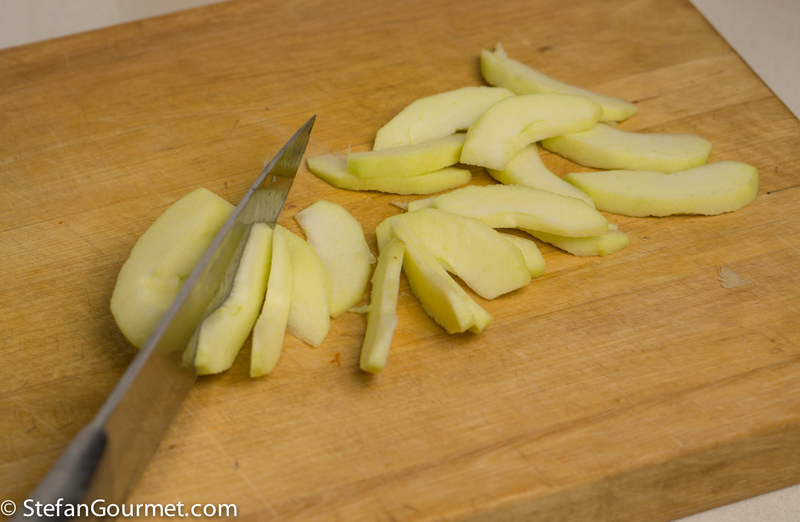 Peel and core the apples, and cut into chunks. 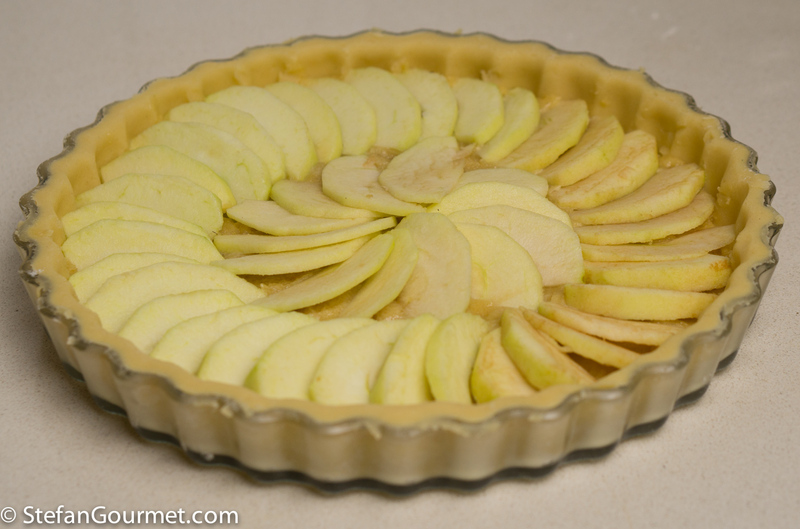 Arrange the apple slices in the tart in a circle, starting from the outside. It is nice to arrange the inner circle in the opposite direction. 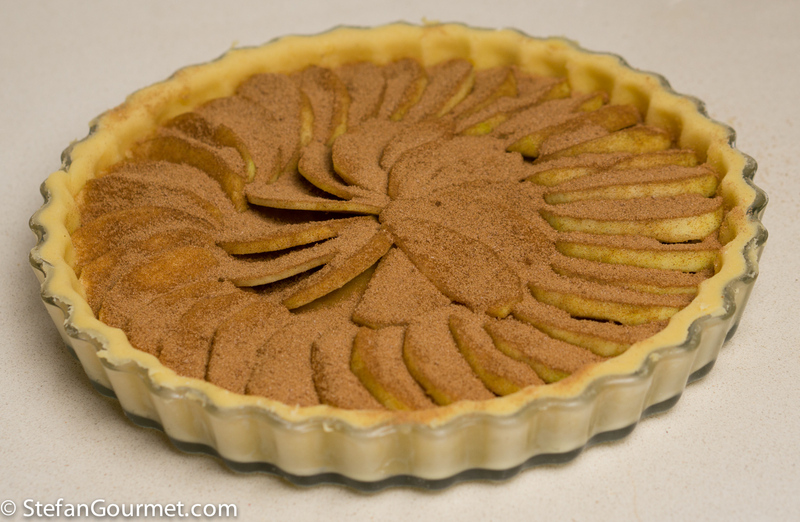 Sprinkle the top with the sugar-cinnamon mixture. 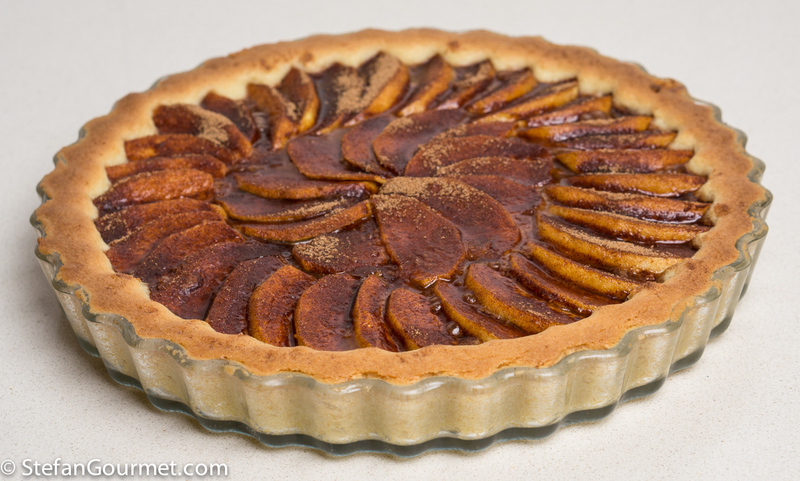 Bake for 20 minutes at 200C/400F (not fan forced). 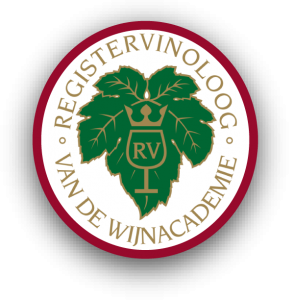 This is nice with many dessert wines, such as a Sauternes or moscato passito. Just make sure the dessert wine is sweet enough. Fresh pasta squares with peas and prosciutto is a nice dish, that you could also make with leftover pasta from making ravioli. E tornano le crostate. Questa è stupenda! Gorgeous photographs and very well detailed steps. Sounds delicious as I especially love almond paste. I love this, Stefan! It looks divine. I don’t know if I can find almond paste here. To be honest be you, I have never looked for it. Otherwise, I’ll go with the grounded almonds. Thank you for sharing this with us! Thanks, Francesca, that is great to hear! I’m not a big cinnamon fan! Do you think I can skip it and just go with some sugar? Hi Francesca, I think you should replace the cinnamon with something else to keep the flavor interesting. 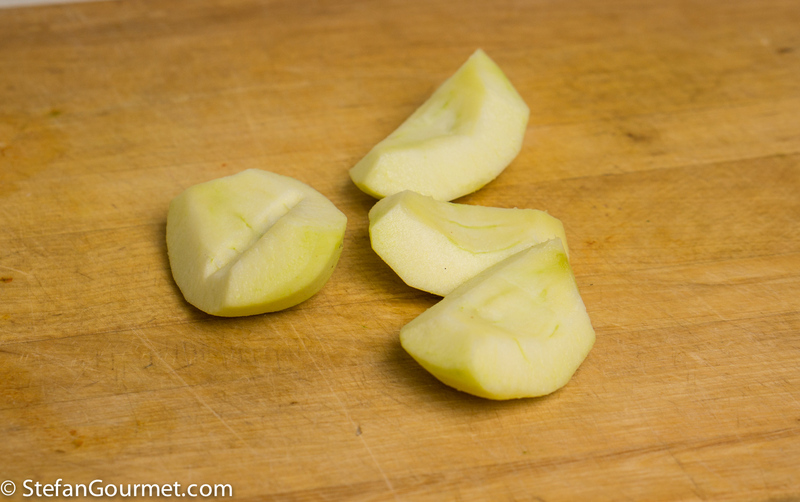 You could for instance add grated lemon zest to the almond filling, or use another type of spice that you like with apple, such as coriander seed. This will be my newest favorite recipe. It sounds delicious! Thanks for sharing. 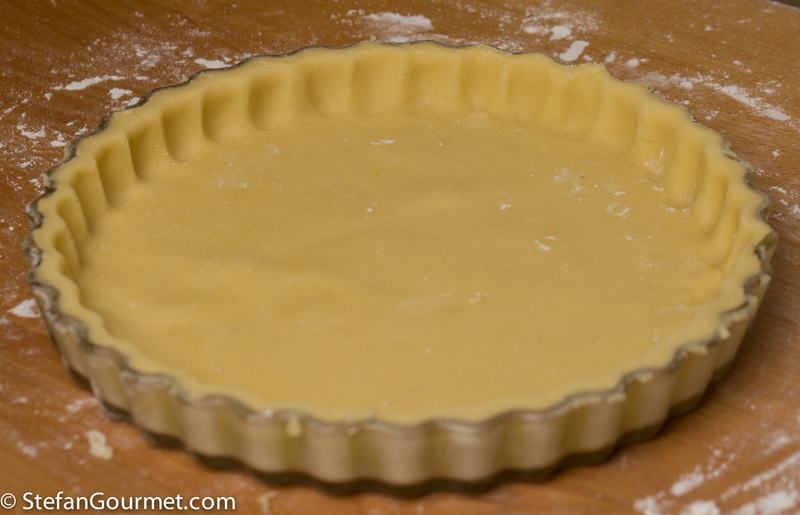 The pastry looks pretty perfect Stefan. Good job.